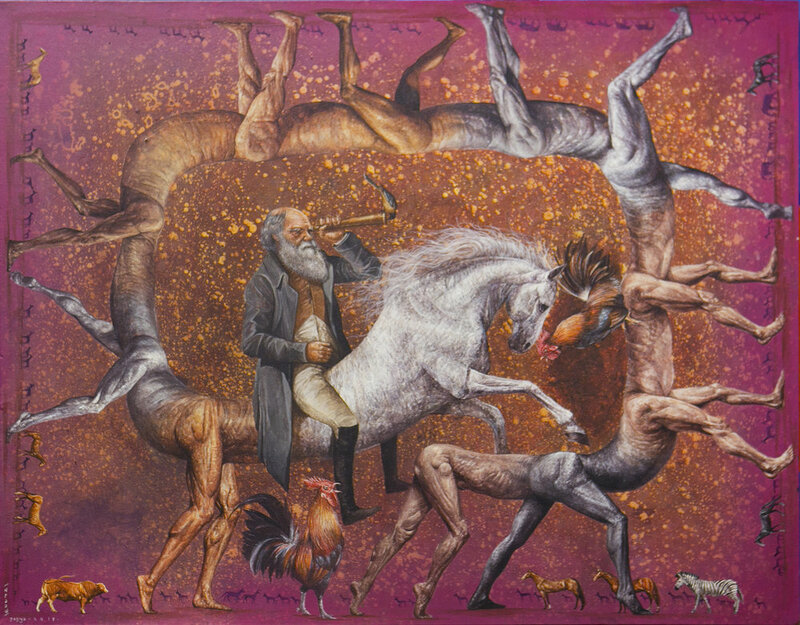 What it means to be human is an omnipresent question of our time and there is a gallery by the name of Hatch Art Gallery which embodies enough edge to explore this climatic relationship. Exhibiting Young Regional and Singaporean Artists, who deconstruct and demonstrate their perception of a post-human world using clever mediums and exquisite thought. Launched in 2018, Hatch Art Project is a gallery at the heart of the CBD that is dedicated to the practices of young artists from Singapore and the region. For More Than Human World: A Wake-up Call from Posthuman, nine artists—including Naufal Abshar, Seungpyo Hong, and Abshar Platisza—contemplate artificial intelligence and new technologies through a vibrant mix of media. These include The Organic Machine (Disaster Series) (2018) by Aditya Chandra H., a pencil acrylic on canvas depiction of drawn vascular forms that emit plumes of smoke across a background in varying shades of pink and red. Urich Lau's digital photos on aluminium, Dreamscape: City Hall Singapore and Dreamscape: Victoria Harbour Hong Kong (both 2018), depict two otherwise mundane photographs of cityscapes in acrid colours and containing hallucinogenic forms. Lau's images are a result of their processing through DeepDream, a programme that allows for patterns in images to be found and enhanced through algorithmic pareidolia, in which machines seek out patterns where they might not be immediately discernible. 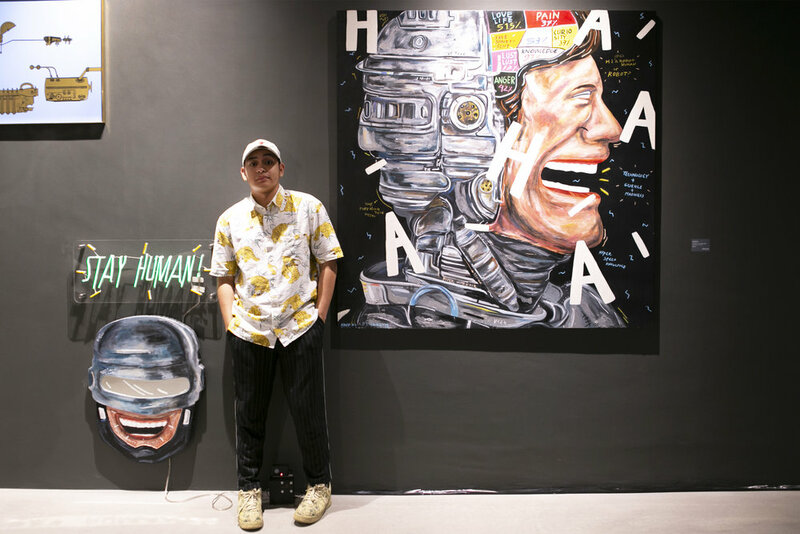 Filipino artist Leeroy New transforms people into otherworldly beings to send a message. Imagine you’re waiting for the bus and a near-naked human body decked out in layers of plastic tubes, with a face covered in spikes, ambles past you. Freakily enough, it's something that happens in Manila. People who do not conform to gender stereotypes are characterised as ‘troublemakers’, or ‘queer’. The term queer has been used to refer to sexual orientation and gender minorities identified as neither heterosexual or cisgender. The original definition of queer was ‘strange’ or ‘peculiar’, ‘trouble’, but has increasingly been adopted to describe non-normative identities. These words often suggest negative associations such as problems, or the presence of a disorder, or difficulty. They are also used when socially accepted/agreed rules or norms are contravened. This leads us to question what socially accepted norms or social customs are. Is it possible to define them? If so, are there tangible guidelines to differentiate socially acceptable behavior from that which is not? We’re seeing a change in the tides in 2018. Where non-conformity to gender stereotypes once garnered disgust, a newfound appreciation for queer culture has steered pop culture in the new millennium in a much more positive direction. Beyond the sharp suits donned by confidently out individuals, or even the elaborate costumes of RuPaul’s Drag Race, a whole universe of non-binary dressing and fashion exists.